Cook quinoa as directed on package. Cool; set aside. Cook tray of peas & corn in microwave as directed on package; cool. In small bowl, mix lemon peel, lemon juice, olive oil and salt; set aside. 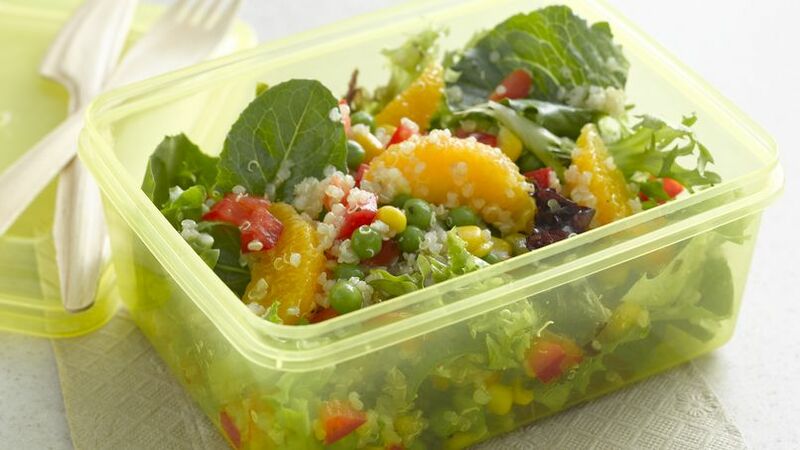 In medium bowl, mix salad greens, clementine sections, bell pepper, cooked quinoa and peas & corn. Add lemon juice mixture; toss to combine. To make ahead, combine the salad ingredients, and toss with the dressing just before serving. Change up the flavor of this salad by using orange peel and orange juice in place of the lemon. Quinoa is high in protein, low in fat and cooks quickly--a perfect ingredient to toss in this citrus-flavored salad.